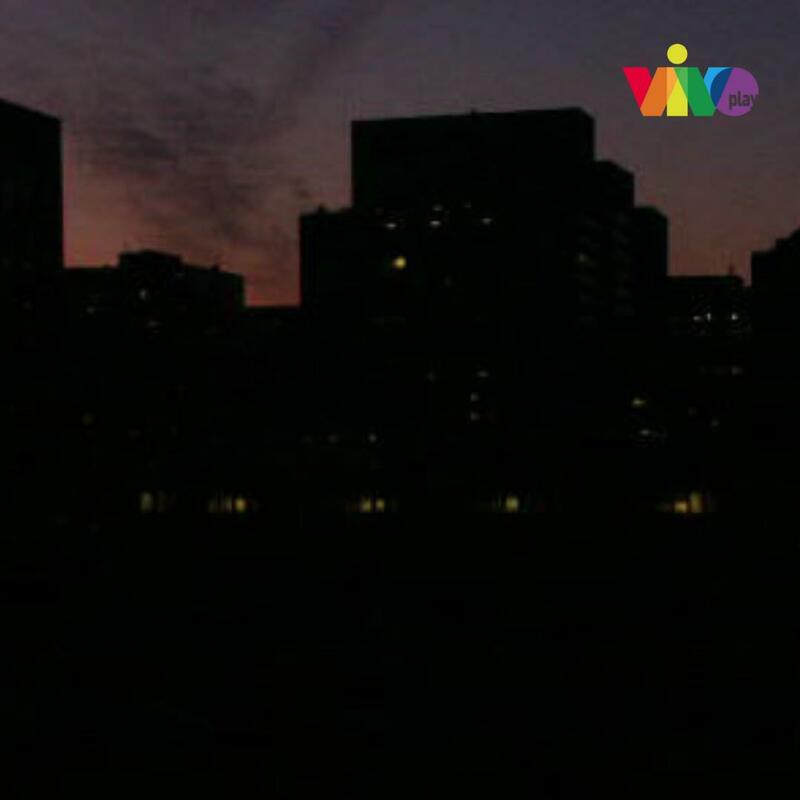 After 7:00 p.m. of this 29Mar there was a blackout in: Anzoátegui, Aragua, Apure, Barinas, Carabobo, Cojedes, Capital District, Falcón, Guárico, Lara, Mérida, Miranda, Monagas, Nueva Esparta, Portuguesa, Sucre, Táchira, Trujillo, Vargas, Yaracuy, Zulia. 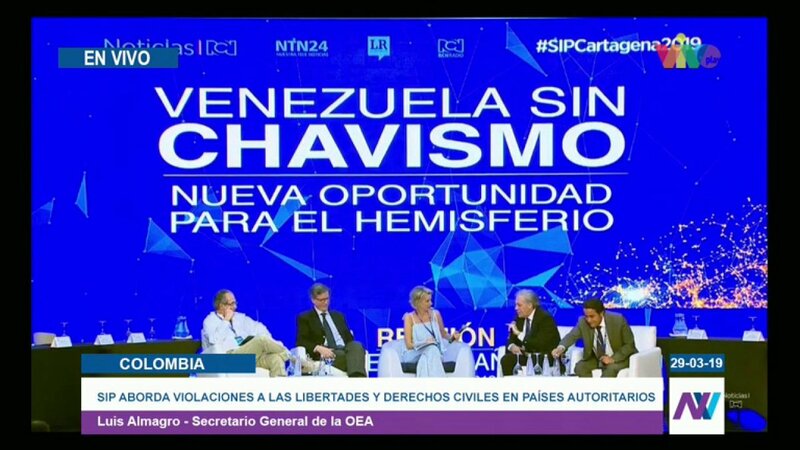 In Bolívar and Delta they report downturns. 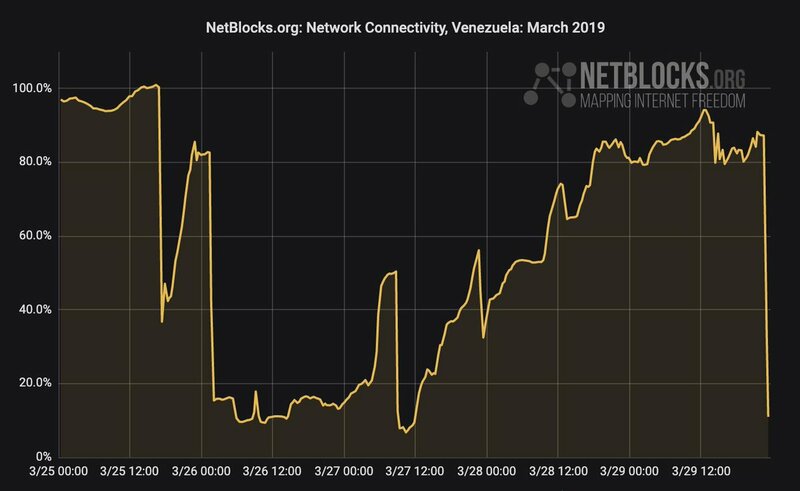 New blackout affects the Zulia. 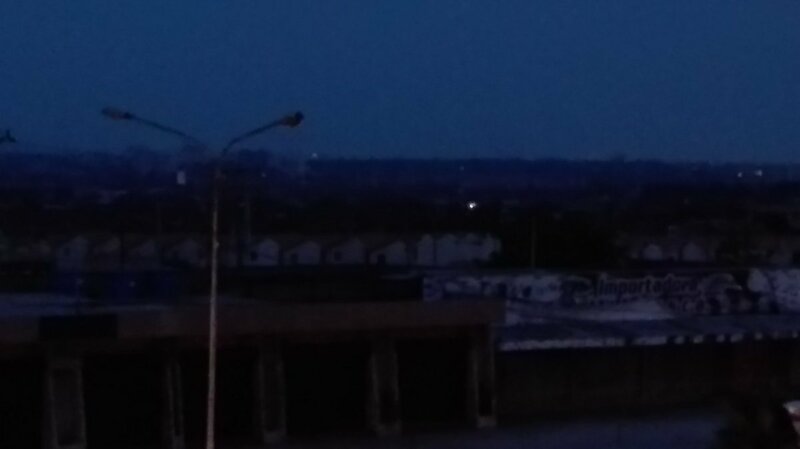 Maracaibo in total darkness. 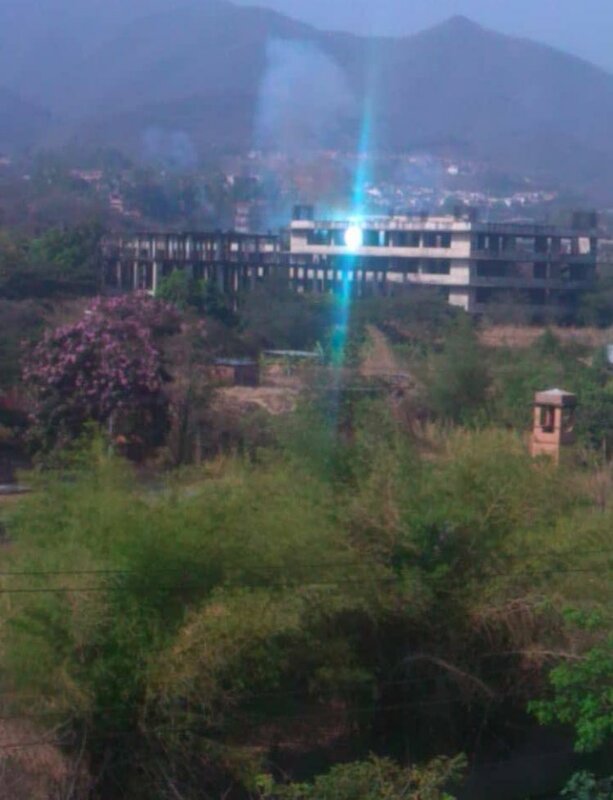 It's the 5th blackout in two weeks. 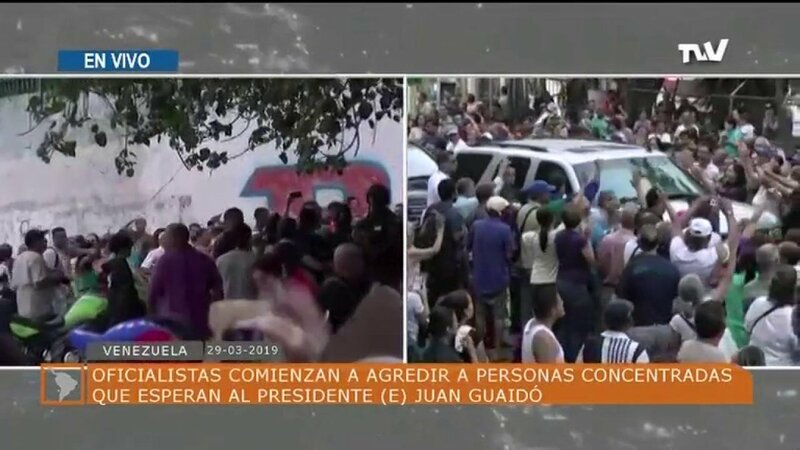 PNB detained two government officials who were trying to sabotage @jguaido's neighbors' assembly in El Valle. 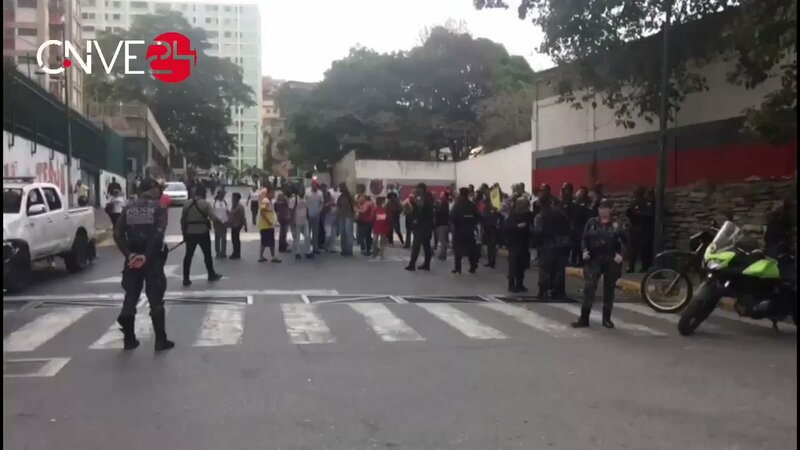 Tense situation in El Valle between opposition and Maduro supporters, prior to the arrival of @jguaido. 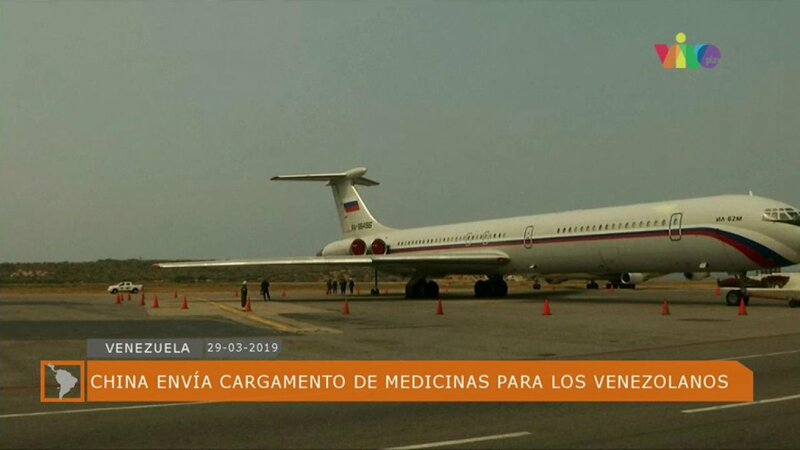 Vladimir Padrino López: We inaugurated the simulation center for Russian-made helicopters MI 17, 35, 26, of all classes that Venezuela has acquired for the defense of the homeland. 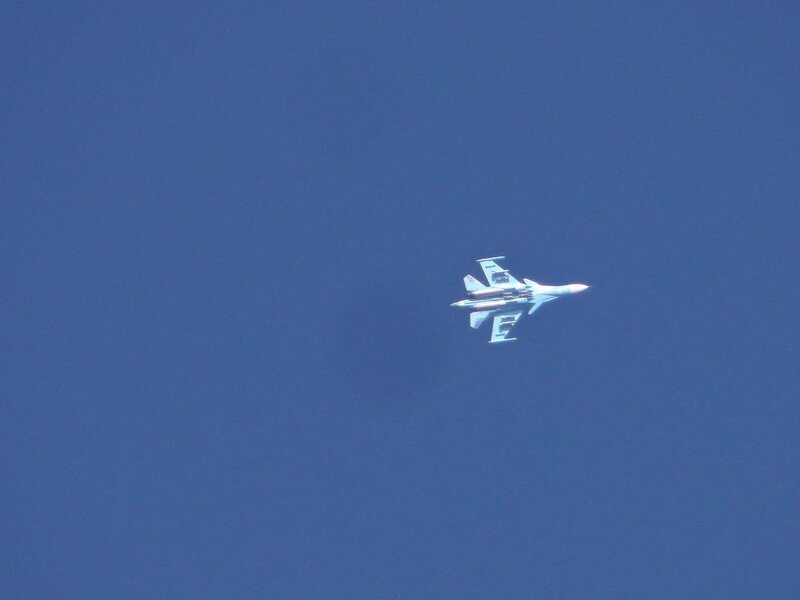 It is a milestone, part of the technical-military cooperation that began in 2001. 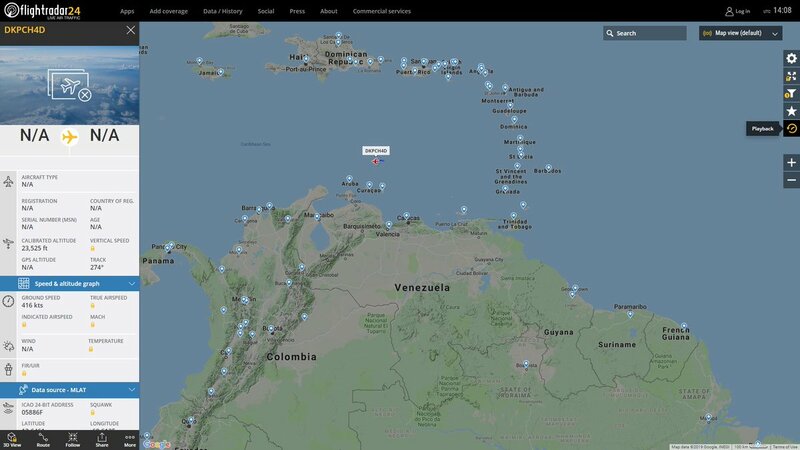 Elliot Abrams, special envoy for Venezuela of the USA, expressed that the United States has had conversations with oil traders and governments not to buy oil from Venezuela. 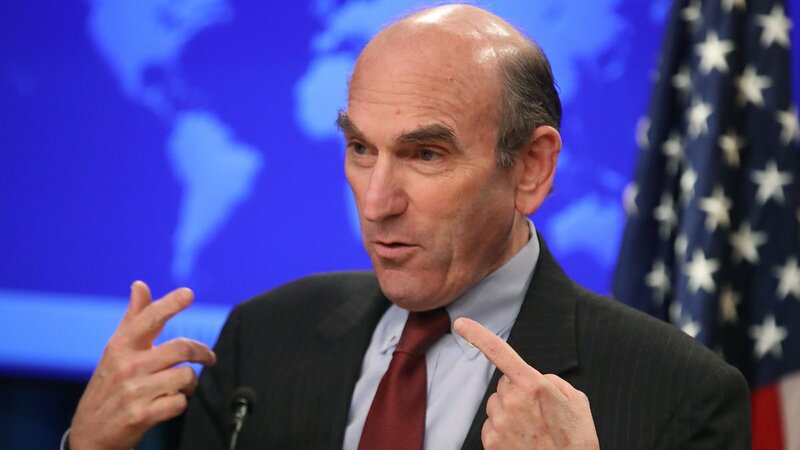 Elliot Abrams, special envoy for Venezuela, said he has given a list of options, including sanctions, economic measures, to the Secretary of State @SecPompeo on how to deal with the presence of Russian troops in Venezuela. 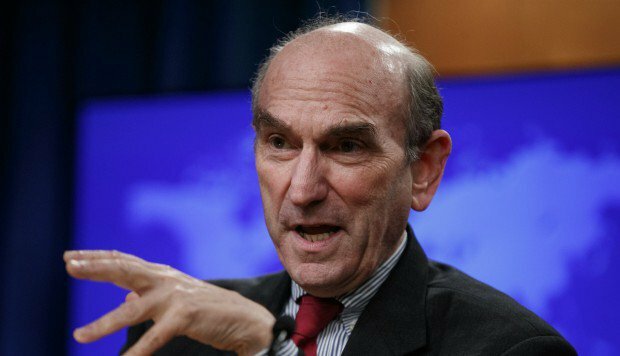 Elliot Abrams, special envoy for Venezuela of the USA, indicated that (in the USA) "we have options and it would be a mistake for the Russians to think that they have a free hand in Venezuela," he said. 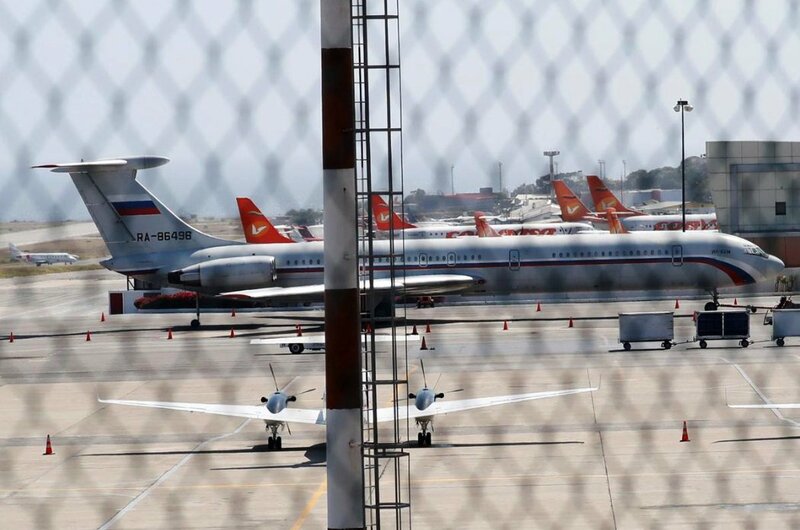 Venezuela agreed to let the Red Cross deliver aid. 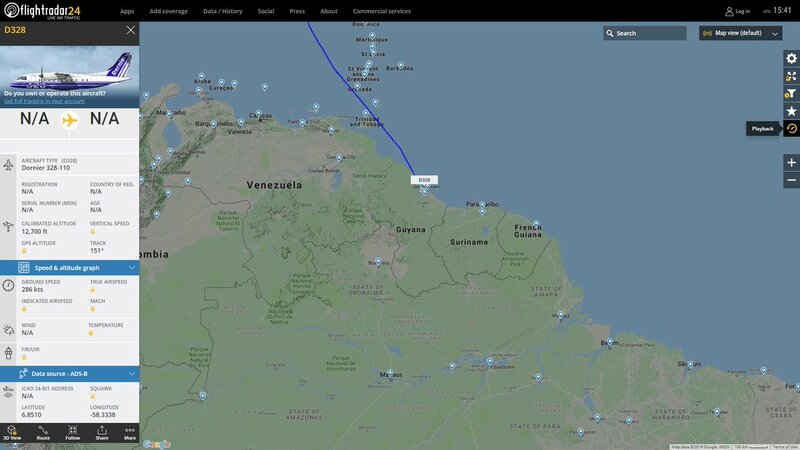 It's the first tacit admission by President Maduro of a humanitarian crisis. 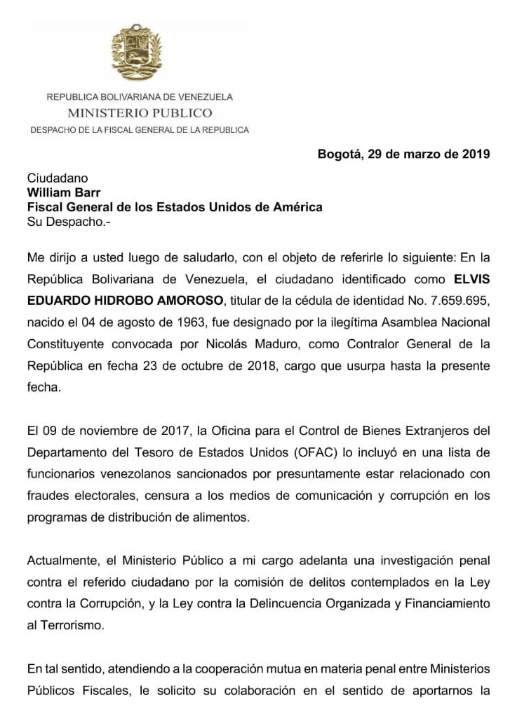 General Prosecutor in exile, Luisa Ortega Díaz, (@lortegadiaz): "I sent communications to several attorneys general requesting their collaboration to complete the tracking and seizure of property of Elvis Amoroso, his son and relatives." 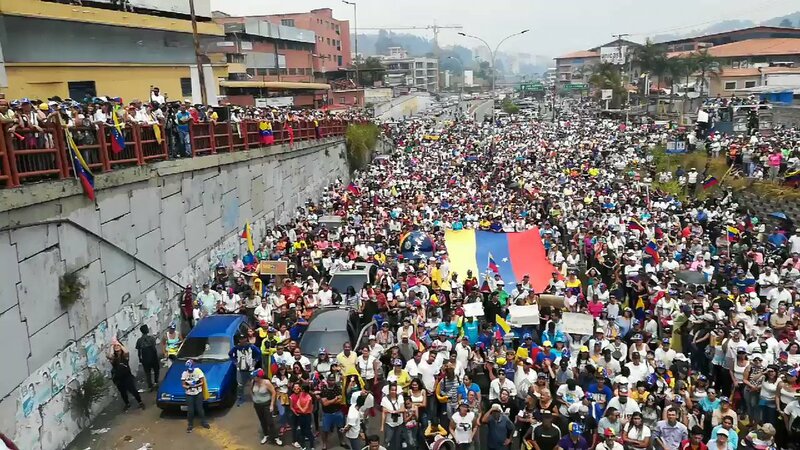 The Minister of Foreign Affairs of Colombia @CarlosHolmesTru, rejected the political disqualification of @jguaido. 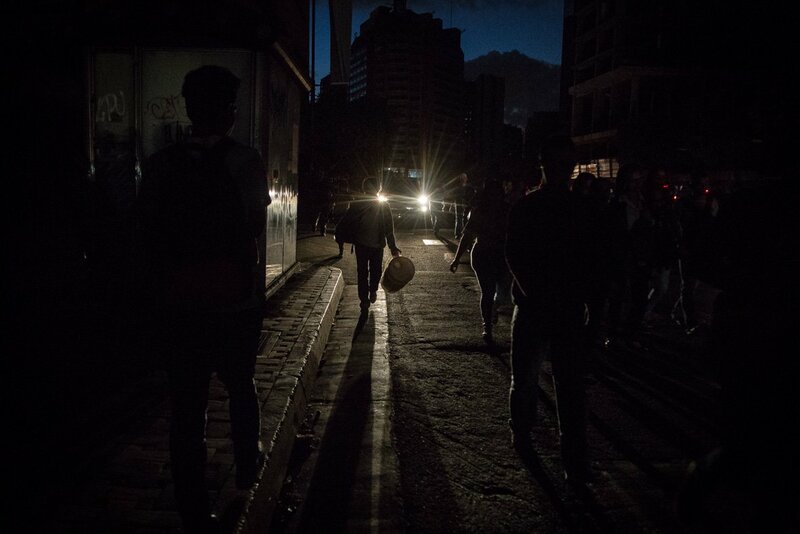 There was a failure in the supply of electric power in the National Palace. 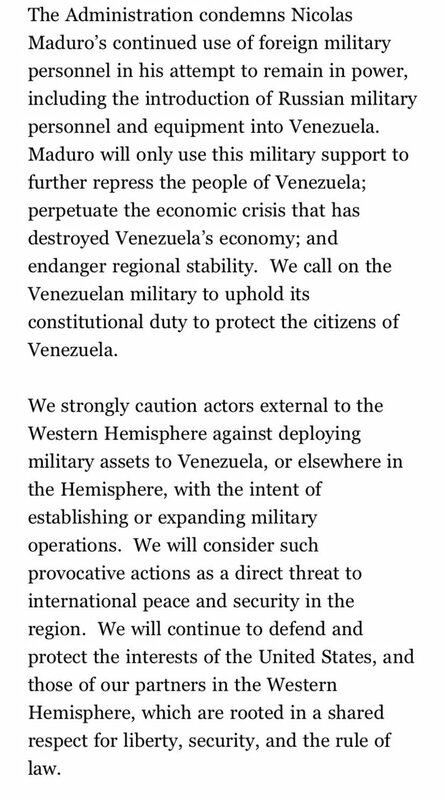 Chrystia Freeland: Canada strongly condemns the illegitimate Maduro government's decision to strip interim president Juan Guaidó of the right to hold public office for 15 years.